BikeSkirt » Blog Archive » This is where we live: Progress! 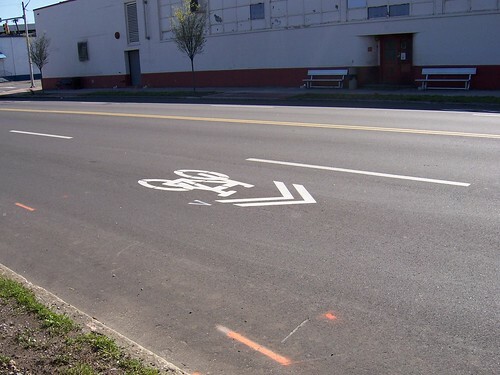 These sharrows are on 14th Ave, from 3rd to 7th South. That may not sound impressive, but that goes from UAB, our University, to Railroad Park, our newest awesome Birmingham thing! 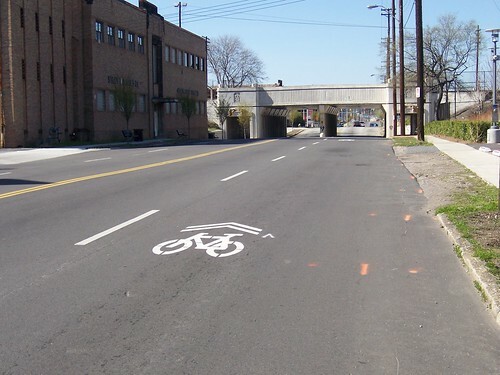 14th is also a connector to the North side, so it is doubly good! 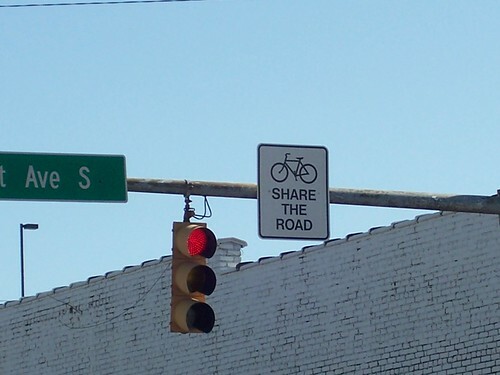 In addition to the sharrows, there are “Watch for cyclists” signs at all the stoplights. Thank you, thank you, thank you. Now, let’s keep going! Want to see another (hilarious) photo? Check out Let’s Go Ride a Bike’s post! I just don’t think daily life and commerce should be forced to slow to the pace of the bicyclist. I guess we have different definitions of daily life and commerce.